Strategic location 9km from Bergamo city, 13km from Orio al Serio airport and 42km from Milan, 38km from Lake Como, 10km from the Terme di San Pellegrino, one of the best European wellness centers (affiliated). 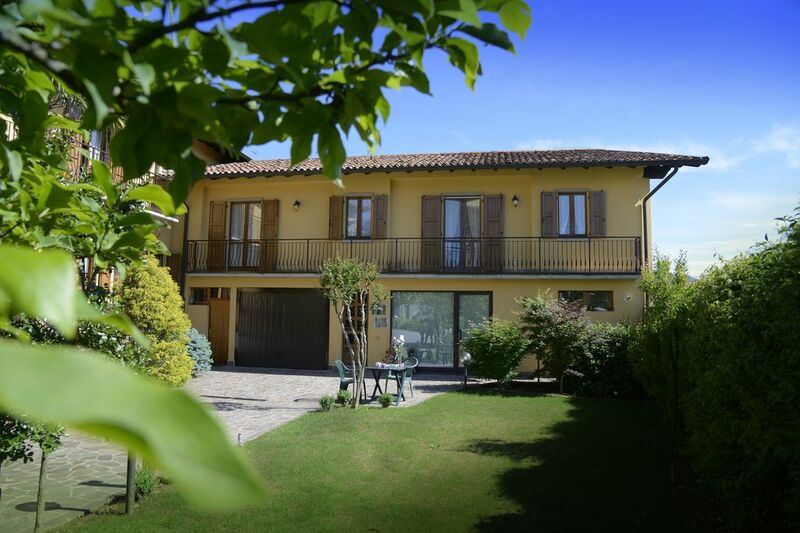 Pedecollinare, near lakes and mountains, 500 meters from a golf course (Bergamo L'Albenza, 27buche). Free parking outside the hotel and free wifi. Shopping: Orio Center shopping center. Monuments and attractions: the old square of Bergamo, Donizetti Theater. P. S. in Barzana requires the car to be freer and more independent, the means of transport are there but they are limited. Apartments with 4 beds (one double bedroom and two sofa beds in the living room), kitchen, bathroom, TV, sofa, microwave, kettle (etc.) and all the necessary linen. For the little ones you can reach the park of Cornelle and Leolandia.